I guess I had too much time on my hand. I recycled lid from the the Maranatha Almond Butter jar. Behold the power of the homemade small parts holder (tool dish). 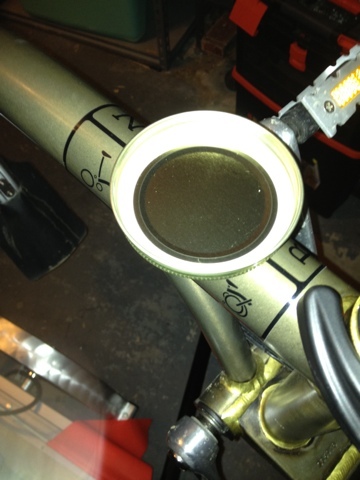 You can put your little Allen bolts and such in the tool dish, while you work on your bike. If you are lucky, it might even stick to your repair stand! Just kidding - it will stick to you repair stand, unless your repair stand is made of carbon fiber or something like that. Cost: about 25 cents (1 piece of magnet).